Lion Tourist provides uniformed chauffeur-driven limousines at very reasonable and competitive rates. We portray ourselves as the ambassador of Singapore. Efficient and knowledgable of Singapore roads, we will bring you to your destination while you enjoy the comfort of the ride. We provide a service that others can only envy. Our drivers have won awards after awards at national level for the way that they service our clients. No other limousine companies in Singapore are able to compete with us on this aspect. Our repeat customers have shown that they are appreciative of our service. We have a wide selection for your to choose from. We provide private transportation in clean cars and vans, chauffeured by an English speaking chauffeurs. Hire our cars and drivers by the half-day, day, week or month to take you to where you need to go and drop you off at your hotel. Our limo service is available 24 hours a day, 7 days a week, year round! Contact our 24-hrs customer service with inquiries or make an easy online booking for immediate reservation. For arrivals. our English speaking chauffeur will carry a paging board with your name and greet you at the arrival gate where you collect your luggages. He will help you with your baggage and ensure you have a smoot ride to your destination. There will be mineral water and magazines in the limousine if you are thirsty or want to catch up on some news. Request for wifi and child seat are also available. For departures, our chauffeur will coordinate with the hotel concierge to identify your location and to contact you and confirm your departure pickup time. If you are not sure which terminal you are departing from, our chauffeur can check and let you know. Our driver will also help you with the luggages. around Singapore and return you back to the port at the designated time. 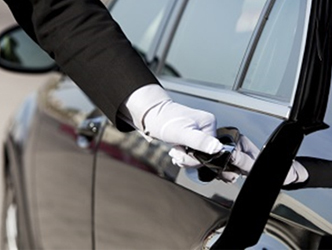 Our experienced and friendly chauffeur will make your special day a memorable one. You can rent a chauffeured limousine for a few hours or a day depending on your schedule. You can rely on a professional limousine company to ensure that everything runs smoothly. Be it the Formula One racing, Singapore Airshows, IMDEX, APEC, COMDEX, BroadcastAsia, CommunicAsia, etc, we have done it. We have been providing limousines for the exhibitors from the moment they fly into Singapore until the time that they depart, Our repeat business shows that we have been able to meet our customers’requirement. Request for wifi are also available. 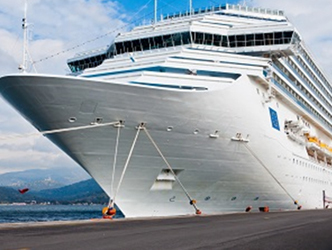 The same chauffeur will be assigned to you for the whole roadshow so that there is continuity and familiarity. 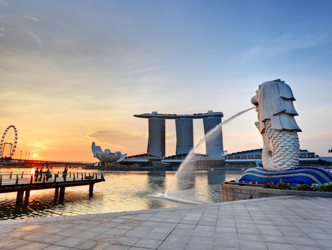 with unrestrained energy and full with thrilling events, Singapore offers countless exclusive, unforgettable experiences waiting to be revealed. Discuss with our chauffeur so that he can plan out the itinerary. You are no longer restricted to fixed time or to the whim and fansy of other tour members. Take your lesiure time to explore each sightseeing location and when ready to leave, the chauffeur will bring you to your next destination. Have your chauffeur at your beak and call.